Tired of your busted power window? A replacement window regulator from 2 Hour Auto Glass is just what you need to get your windows up, down and running like new! Our new (not rebuilt) power window regulator assemblies are built to strict quality control standards and with the finest materials. A window regulator or window motor from 2 Hour Auto Glass is a direct bolt-on replacement, preassembled for easy installation. We carry hundreds of car window regulator kits for your classic or late model’s power window. 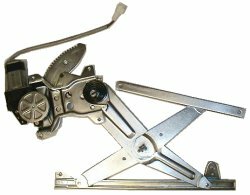 new and dependable window regulator for a wholesale price? Get your ride back in working order with a new car or truck window regulator from 2 Hour Auto Glass today! If you have any further questions about our power window regulator assemblies or window regulator repair, please contact us at (718) 965-5555. * Integrated window motors for some power applications. * Improved aftermarket designs to correct problems of breaking.